Update: Xamarin appearently solved this problem with Service Release 3 for Xamarin Forms 2.5. I can confirm it works in the app that caused me to write this post. Additional note: the forms:prefix is no longer needed, just insert the <ResourceDictionary>tag. This is also possible in Xamarin.Forms. Sadly, Xamarin.Forms 2.5 introduced an ugly bug where this declarations throw an ArgumentException, telling us the key(s) already exist in the dictionary (see Bugzilla here). I can confirm that this bug affects at least UWP, Android and iOS applications which use such an implementation. This makes the application running again like it did before. Once the bug in Xamarin.Forms is fixed, I just have to delete this method and uncomment the XAML-declarations to get back to the state where I was prior to Xamarin.Forms 2.5. If you are experiencing the same bug, I recommend to also comment on the Bugzilla-Entry (link). I am currently exploring a lot of APIs that I never used before in my Windows Phone apps as I am adding more features to my NFC Toolkit. Like I always do, I create sample applications to explore what is possible and then integrate them into my main app. 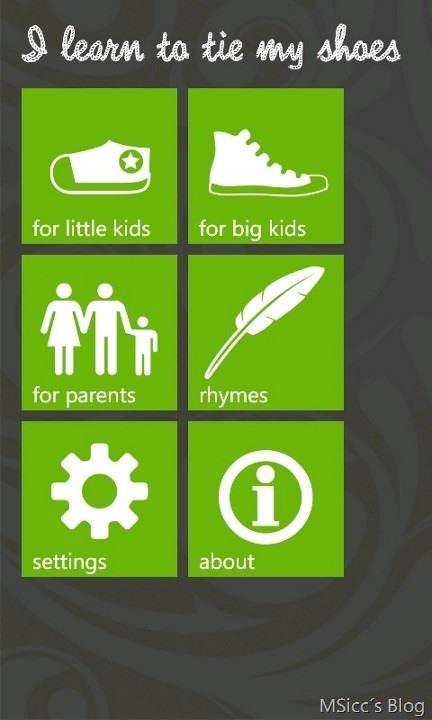 One of those APIs is the MediaLibrary class on Windows Phone. You might think: there are tons of examples out there, why another post? Well, I agree, there are a lot of samples, but I want to cover a whole scenario. In my sample, I am getting a list of all Albums stored in Library, start them playing, and display the current playing song as well as handle state managements of the playing song. First, you will need to add the capabilities ID_CAP_MEDIALIB_AUDIO and ID_CAP_MEDIALIB_PLAYBACK to your app. If you will not do that, every call against the APIs will end up with an NotAuthorizedException. For any access to the MediaLibrary and the MediaPlayer classes we are using the Namespace “Microsoft.Xna.Framework.Media”. Here our trouble begins already. 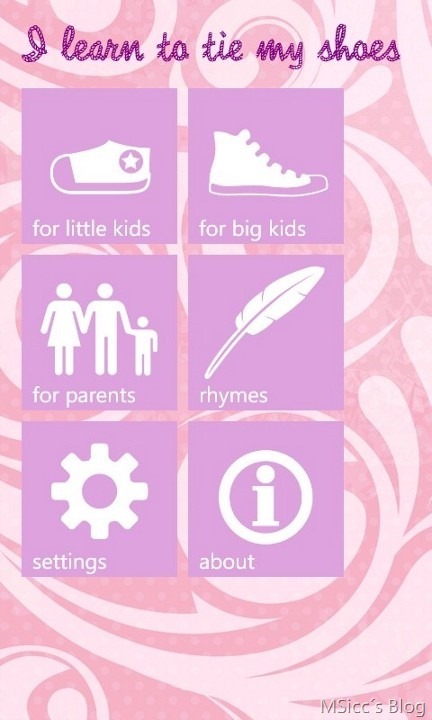 Xna is Microsoft’s framework to create games on Windows Phone 7. 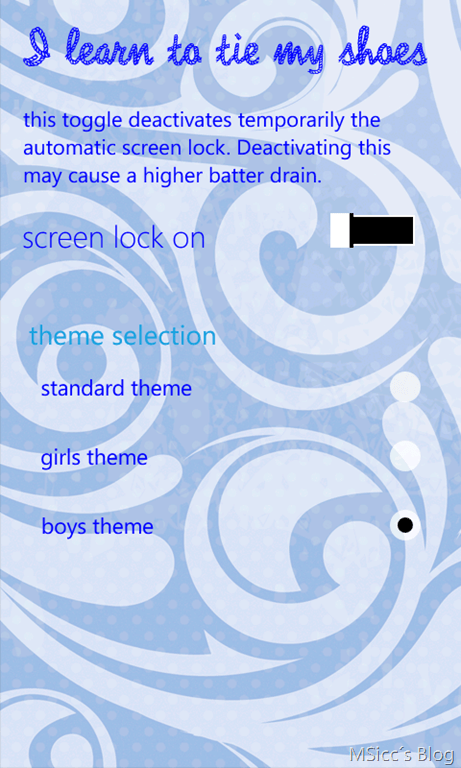 As Windows Phone 8 supports also native code, this is mainly used in 7 games. That’s why you might run in some TargetInvocationExceptions while you debug apps that use them. We are starting a new GameTimer and delgate it to our UI using the FrameworkDispatcher.Update() method. By adding it to App.xaml.cs and calling this method in Lauching and Activated event of our app, we have it running through our whole app and are done with this. There are several methods to this, I found this the most easy version. I would pay credits, but don’t remember where I saw this – sorry. Let me explain the code. First, we are using our AlbumCollection object to asign the MediaLibrary.Albums property. This will give us a collection of all albums. Then we need to check first, if the count in the collection is not 0 (it will throw ugly exceptions if a user doesn’t have any music stored if you won’t to this). Then we add these albums to our ObservableCollection<AlbumFromStorage> picking the interesting properties of each album for us. As the thumbnail for the album cover is a Stream, we need to use a WriteableBitmap for calling the GetThumbnail() method. The last step adds our ObservableCollection<AlbumFromStorage> as ItemSource to our ListBox. As you can see, I use the MediaPlayer.State property to get the album playing. The album is a SongCollection that holds all songs of the album. I recommend you to stop the last played song (if there is any) first with the MediaPlayer.Stop() method before start playing the first album song with the MediaPlayer.Play() method. Otherwise, it may happen that the user hears a second from the old song. Very important: you must handle the case that the user has already music playing. If not, your app is likely to not pass certification. After we started playing the music, we naturally want to display the current song. To achieve this, we need to add two events to our page constructor: MediaPlayer.ActiveSongChanged and MediaPlayer.MediaStateChanged. This way, we use the MediaState to display the the current state as well as the title and artist. As we are updating the UI thread, as Dispatcher is used to update the Text. If you want to display also the album image, you will need to cache the image from the ItemTap event before, which would work fine with albums. If you choose Playlists instead of Albums, this will not work out well as you will not be able to get the image from MediaPlayer.Queue.ActiveSong. I did a lot of research to get this feature(s) working the way they should. I took me several hours to figure everything out exactly, and I hope this post helps some of you out there to save some time on this. With this post, you will be able to generate the whole experience your users deserve from the beginning to the end. Today I want to show you two small tools that will help you to make localizing your apps easier. 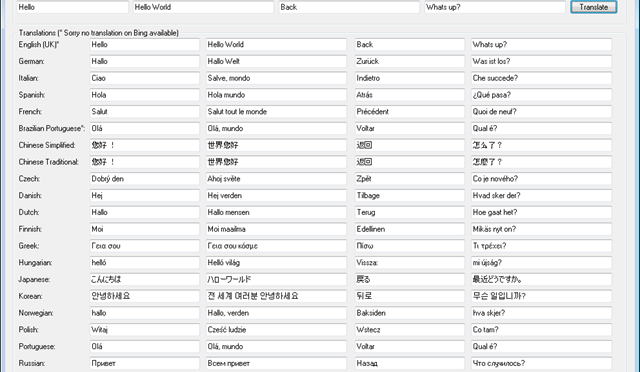 The first tool I want you to know about is a tool called “AppTranslator”, made by Xda-Member singularity0821. To provide the language settings, you need to name the strings in your app. I recommend to use format “x:name”, as sometimes without the “x:” your strings will not be accessible. Then you have to create a .resx file for your “neutral” language. You can find a good tutorial here at MSDN. Once you have done this, you have to translate all strings and put them in a separate .resx file. Doing this manually in Visual Studio can really be an awful job. This is where the “AppTranslator” comes into the game. You can save your work at every point, in the end you will get a ready to paste in .resx file. You can download the tool here at xda. Ok, now you have localized your app content. But the app title will remain the one that you set in you “neutral language”. To localize your app title, you have to generate resource-only DLLs. 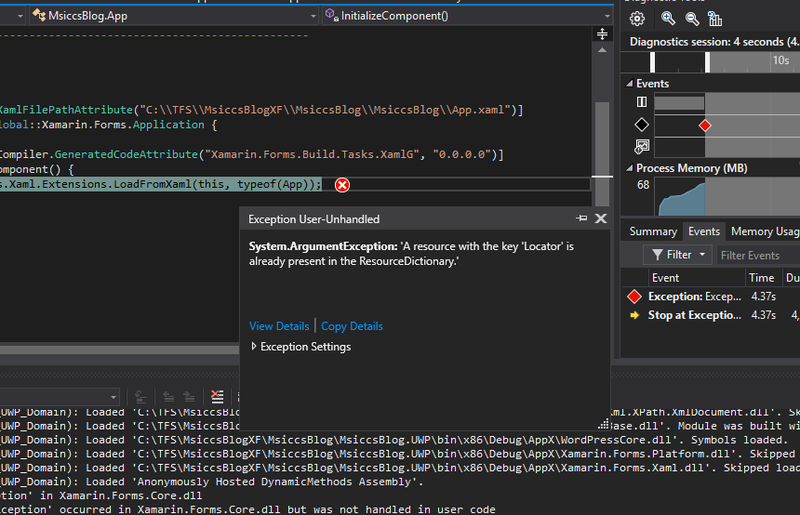 This could be very difficult if you are developing your apps with the VS 2010 Express. You simply can´t do it. An overview of how to do it manually and an explanation can be found here at MSDN. No need to scream now, as also for this exists a tool from Patrick Getzmann, a German MVP. 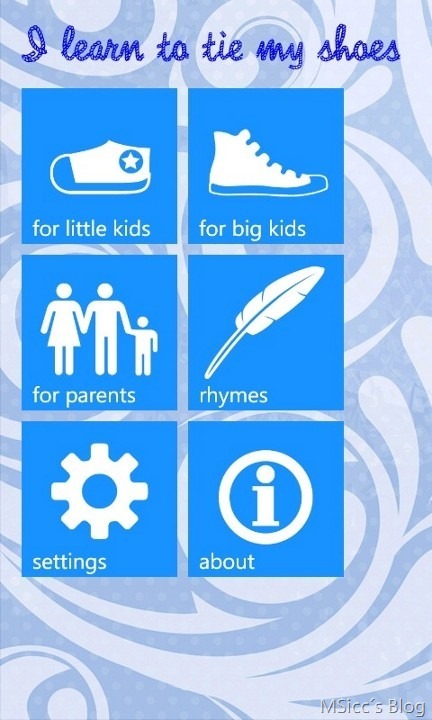 The tools uses Bing to translate your app title. You can edit all the strings also manually, if you want. Once you´re done, just hit “Save DLLs” and you are ready to integrate them into your app. I hope you will enjoy the tools as much as I do. In January 2011 Internet Security specialist AVG released a study. 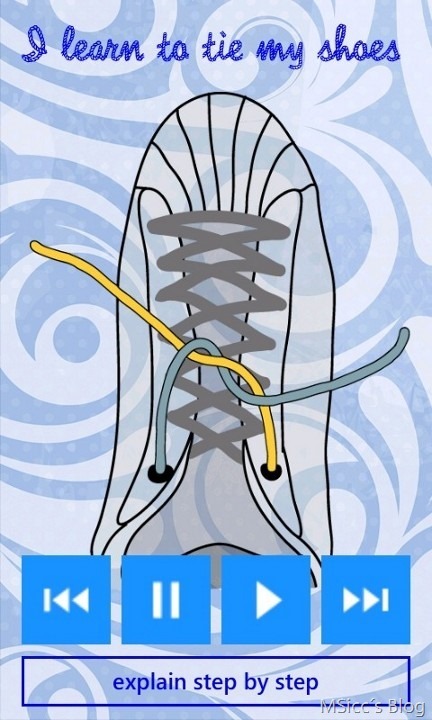 This study tells us that nowadays children get in touch with technical gadgets much earlier than in the past, while they are not able to manage everyday things like tying their shoes. 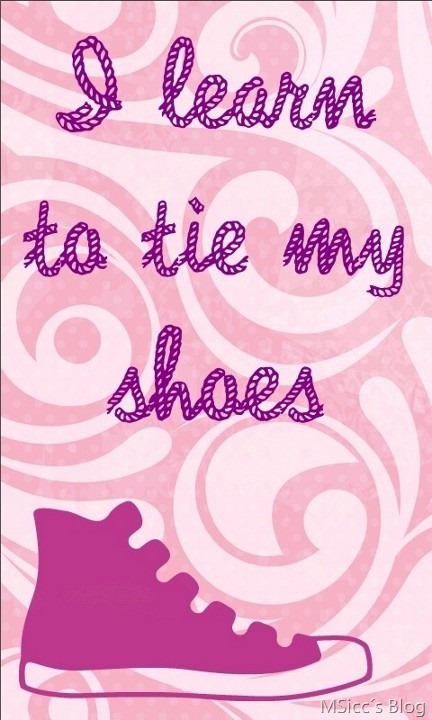 The study substantiates this also with figures: around 19% of the 2-5 year old children are able to use smartphone apps, while only 9% know how to tie their shoes. 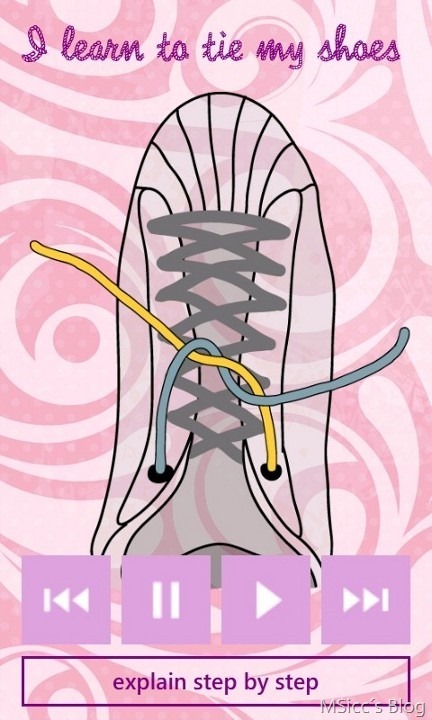 As father of two kids, I decided to use the abilities of the little ones, and do something against that alarmingly low now number of kids, who know how to tie shoes. 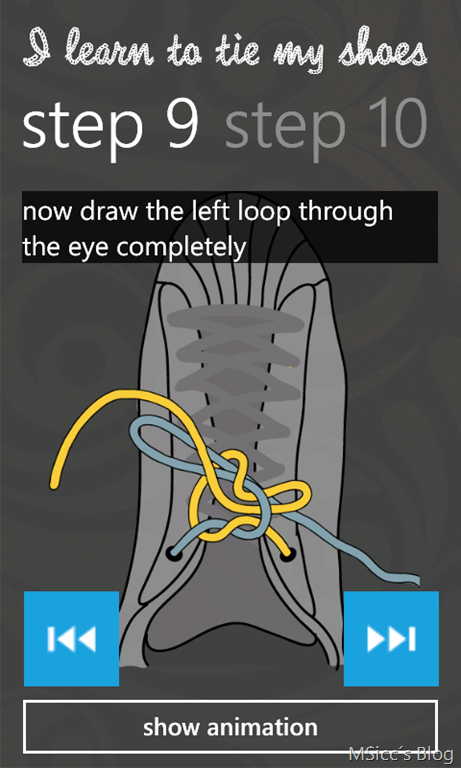 I hope this app helps you and your children to learn tying of shoes very quick, easy and with fun. The app will be available at the price of 99 cent. Like all my other apps, it has of course a trial version. To celebrate the launch of this app, I will start a “Marketplace Roulette”. Currently, the app is available for free only via this marketplace link. I will change the pricing at a suitable moment within the next few days to the above mentioned 99 cents and make it publically available. Until this moment, you can download it for free only via this link. If you want to learn more about the app, here is a review on 1800PocketPC.com (written by Saijo George).